RESTRICTED NAMED ENDOWMENTS – donors can establish a fund that provides on-going gifts that benefit particular charitable organizations or to promote a certain cause. 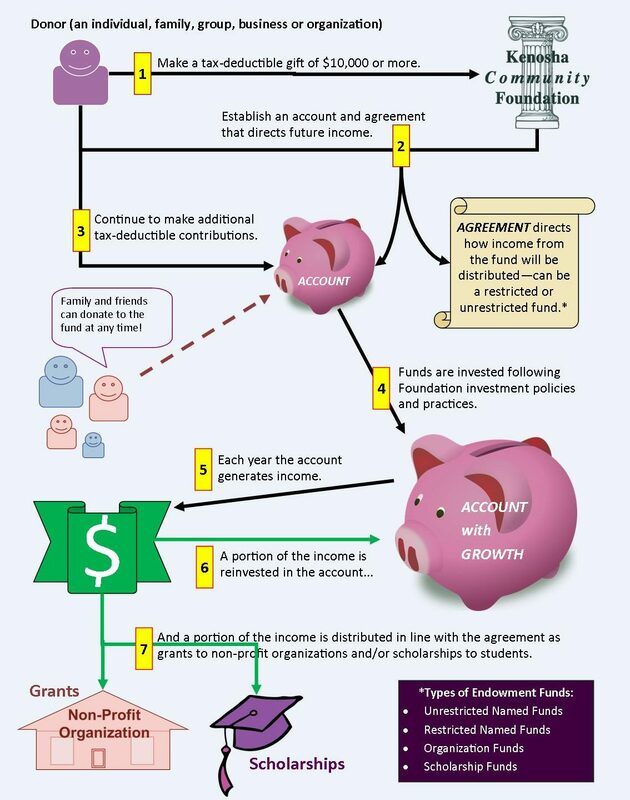 UNRESTRICTED NAMED ENDOWMENTS – donors allow the Community Foundation to select who will receive benefits, with the understanding that the Foundation continually examines community needs and addresses those needs with grant awards. 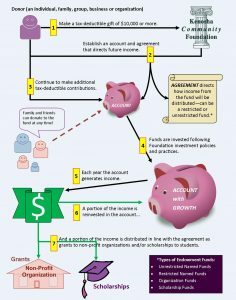 SCHOLARSHIP FUNDS – with this type of endowment, a donor establishes an endowment that provides scholarships for individuals who have met certain academic and/or geographic standards or to a specific school. For individual student scholarships, the Community Foundation’s will manage the scholarship application and award processes based on instructions and criteria set by the donor. The fund is exempt from income taxes under IRS section 501(c)(3) and the donor receives a tax benefit the year the fund is established. Additional gifts to the fund can be made any time and the donor will receive tax benefits in the year that the donation is made. Donors can benefit by investing the funds in the Foundation’s well diversified portfolio that has consistently outperformed its benchmarks. The Foundation handles all administrative work of for Endowment Funds, including: preparing/filing required reports to the IRS (example Form 990), monitoring investment performance, and arranging an annual independent audit.